The team is hard at work preparing for a Network Upgrade to be accomplished via Hard Fork (this will not create a new coin.) We’re doing this for two reasons: we need to address the threat of ASIC miners coming into the Equihash mining space, and we need to take steps to improve the security of our blockchain in light of the recent 51% / Double Spend attacks. One important change goes a long way to address both of these issues: a change in our Proof of Work algorithm. We’ll be moving our mining algorithm to a different version of Equihash that we’re calling Equihash-BTG, for now. You can read more detail about it on our Forum. Most of the necessary components for the Network Upgrade have been coded, but need more thorough testing. We are still working on improving the mining software so that as many people as possible are free to mine as soon as the Network Upgrade happens. Until the mining software was ready, we weren’t able to thoroughly test the new components on a testnet. We’re now making good progress and expect to be able to establish a firmer timeline for the Upgrade shortly, which we intend to share in another update three days from now. Please note that we will be providing at least seven days’ notice before the Network Upgrade, and perhaps more, depending on what we hear from our critical ecosystem partners. 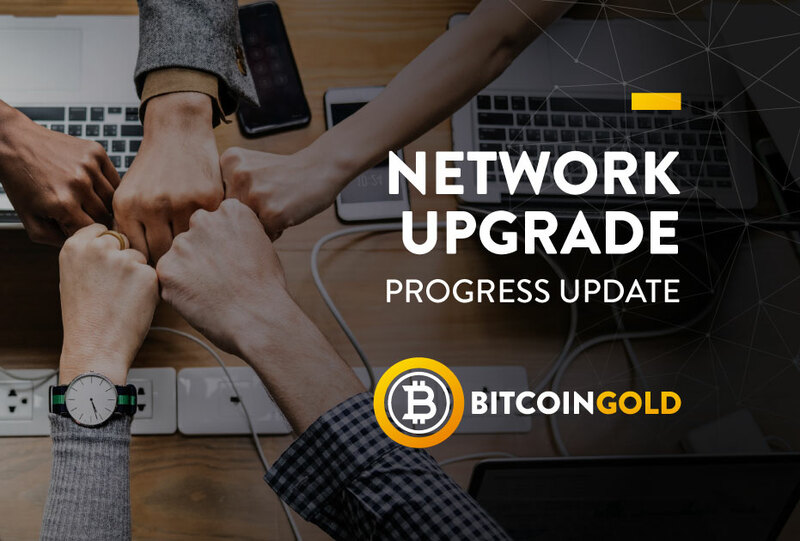 We want this upgrade up and running as soon as possible, but it doesn’t do any good if we upgrade the software before the wallets, mining pools, exchanges, and others are ready. It’s imperative that any of our partners who haven’t yet done so reach out to us to ensure we have the best methods to contact them with further information. (You can reach out to us via support email, or any of our social media channels.) We’ll also be posting detailed information on our Forum and in GitHub. We’re also working hard on many fronts to improve security, both now and in the future. We’ve developed monitoring systems for our blockchain and our mining network, and have established channels to rapidly communicate risks to Exchanges. We plan to expand these tools and make them available to others. We’re also cooperating closely with other coin development teams to share what we’ve learned, and to work together to improve the safety of the crypto space. The recent Double Spend attacks using ZenCash remind us that we’re not out of the woods, yet. We’ve said before that attacks on part of the ecosystem are attacks on us all. It’s also true that if we all work together, we can fight back against these attacks. We can report that the crypto community is coming together and will be supporting each other as we work to get through these difficult times as quickly as possible.